[Blog Excerpt] his is my first attempt at a Fuse assembly, an icosahedron made using Fuse’s classic 30 degree module. It was completed using 30 four inch squares of heavyweight card stock, and measures about 4.5 inches in diameter. I love the geometric designs and “craters” the modules form as they are assembled. . . Read More. 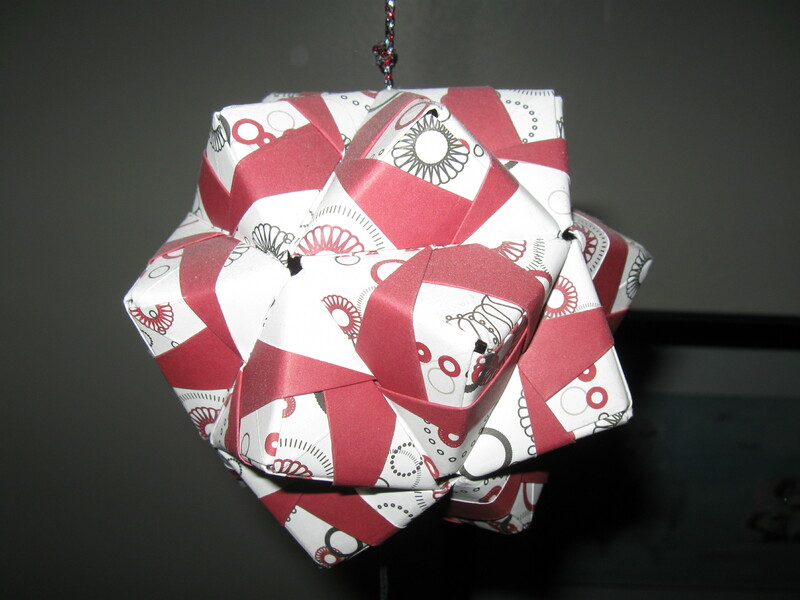 This design is fromthe book which first introduced me to modular origami, The Origami Handbook, by Rick Beech (2002). The individual units are actually an alteration of traditional Sonobe modules, with pockets and tabs which join on the structure’s interior. Made from 30 pieces of 4 inch card stock, this icosahedron is one of my favorite designs. 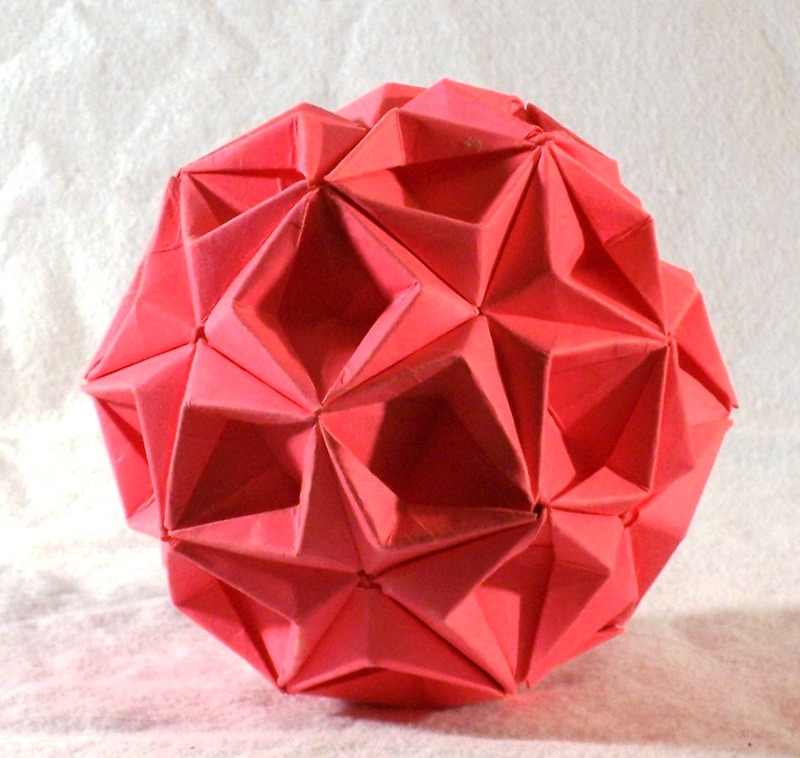 This is a simple yet elegant variant of the sonobe icosahedron, which I made for my dear friend and former roommate Lex in the summer of 2009. The rich pattern is achieved through simply using 2-sided card stock, and adding an extra fold in the sonobe modules to reveal the reverse face. Please check back soon & often for more of the Amigami Showcase! I still love my Sonobe Icosahedron! It hangs from my ceiling and brings me good luck!